I just finished watching the State of the Word for WordPress presented this year (over the past weekend) at WordCamp Us in Nashville, Tennessee! I knew that I wouldn’t be able to attend, but I did secure a Live Stream ticket. And I knew that the weekend would be too busy, so I started watching today. True, it’s not Live, but it once was. Matt Mullenweg, sporting a hipster beard came to the podium, with his casual, yet endearing presenter’ style. I took down some notes on some things he said that I’d never heard before. Like, Hackerone, or WordPress Language Packs, Tide and the Growth Council. Matt went on to discuss how more websites using WordPress were using SSL certificates. 36% of WordPress sites are served over https, up from 14% last year. He brought up to the stage two people, Weston Ruter and Mel Choyce who spoke a little about the changes in WordPress 4.9. The widgets area now allowed you to put up images, videos, and audio — thru a widget! If you don’t know why that’s awesome, don’t worry about it. Share live a preview link — so others can see your potential changes before you apply them. Better native code editing, syntax highlighting, auto complete and linters — your a geek so you know what this means. These means a lot to those using the Customizer. These are not a make it or break it feature for me, but helpful for sure. Matt came back and talked about Gutenberg. Most of the Q&A centered on Gutenberg as well. 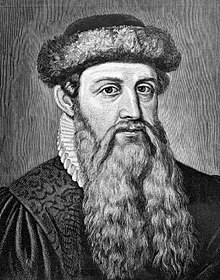 I had done a little research on the Gutenberg editor a few weeks back, but didn’t give it much attention. According to Matt Mullenweg, “Gutenberg is an effort to simplify into one elegant concept (quoting from the slides). A demo was given by Matias on how to use Gutenberg Editor. This was a very clean looking theme page builder. Very clean looking as compared to Visual Builder or Fusion Builder (which I like). There was not a typical Front-End editor (as yet) and later, someone corrected Matt when he said it was. Looks simple, but if you’re used to other page builders, it is light on features. After Matt returned, he opened the floor to questions. There were a quite a few questions from plugin and theme developers regarding Gutenberg. In summary, right now, Gutenberg is opt-in with a plugin, but eventually it will be pushed as a standard feature with an opt-out plugin. One person thought that this would increase the conflicts that might arise with plugins and themes that don’t follow the Gutenberg way. Another person thought that by moving to Gutenberg, WordPress would be disheartening plugin and theme developers because many theme developers use their own page builders. Almost, like, Gutenberg would push them out of the market. Bascially, people would get built in what they were offering as a product. There can be winners on both sides. I know that I will choose to opt out for certain themes that I use, so I can keep using and growing with them. It’s a little headache, but it’s okay. Gutenberg can allow great website design features for those who can’t afford it. This will open up the world to better looking web pages and help other, less prosperous, nations learn and access the web — and look good and have fun while doing it. Ultimately, I enjoyed the Live Stream though there were some streaming issues which caused the stream to stammer (about four places). Thankfully there was live Closed Captioning so those parts that stammered could be read and that made me less angry (this was the first year, so it’s okay). I’m only upset because I want to hear the good stuff! I can’t wait to watching the different classes presented and learning some cool stuff! And next year, I want to be there live streaming it with my eyes!